Here is some advice from your expert swimming pool contractors on how to keep your swimming pool clean and well-maintained. Now that April is almost here, swimming pool season is about to begin. 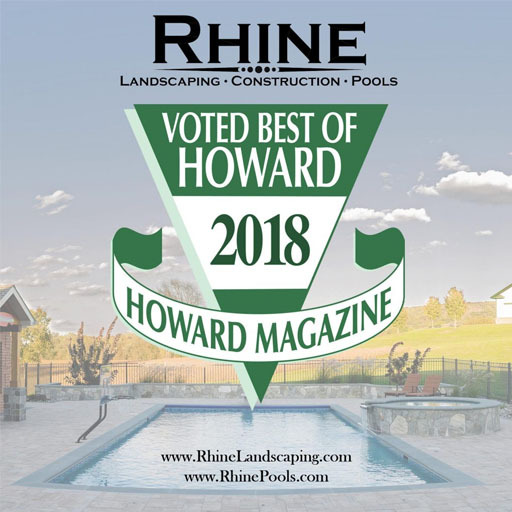 Even though community pools might not open until Memorial Day, you can get a jump on that and start making your Elkridge home the best one on the block. Here is some advice from your expert swimming pool contractors on how to keep your swimming pool clean and well-maintained. Grab your skimmer and run it through the water of your Elkridge swimming pool. When you’re done, it’s easy to clean out the skimmer tool. But whatever you do to clean it, make sure what was in the skimmer can’t get washed back into the pool or anywhere around it. Turn down the jets on your pool, if it is equipped with them. You can also use a brush to clean the walls; although a nylon brush might suffice, for a concrete swimming pool you will need a stainless steel brush instead. Once you’re done brushing, detach the brush from what is known as the vacuum pole. There should be a jet you can use to refill the hose. Keep going until water comes out of the vacuum. The vacuum and skimmer should then go down into the water. Give your pool a vacuuming treatment for about half an hour. Don’t forget to check on the chemistry of your pool – find out what the current pH level is, and make sure that there is enough chlorine in the water, too. What else do you need to know? Most of the time, you will find three common types of pool filters installed by swimming pool contractors. These filters are known as sand, diatomaceous earth (DE), and cartridge. Each of the filters works a little bit differently, but they all do their part in making sure your Elkridge swimming pool remains clean and works as it should. As their name implies, sand filters use sand to prevent any dirt or other debris from entering the pool’s circulation system. When you complete the backwashing cleaning technique, anything in the filter is pushed down the storm drain. The DE filter needs a bag to collect the debris it cleans from your pool, so you’ll need to empty out and replace this bag every so often. If you can’t remember when the last time you did this was, then this year is probably a good time to do so. You can remove the cartridge, rinse it off, and then put it back.